Professional athletes are not the only ones plagued with knee injury and pain. Millions of people experience knee injuries while competing in sports, at work or participating in other daily activities every year. 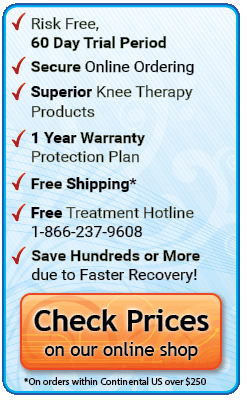 Millions more fall victim to knee diseases and seek relief from chronic joint pain. Although knee pain is common, there are steps you can take to reduce your risk of injury and disease, manage pain and accelerate healing of a soft tissue knee injury. Whether you have ever experienced knee pain, recovered from an injury or are dealing with chronic knee disease - there are steps you can take to prevent injury and minimize your pain. Maintaining a healthy weight, performing appropriate stretching and strengthening exercises and using protective and supportive equipment can protect your knees. With your physician's approval, it is important to stay active to keep your knee joints healthy and functioning. By maintaining a healthy weight, you are decreasing the burden on your knee joints. Less strain on your knees decreases the risk of injury and degenerative diseases. The Mayo clinic states that if your Body Mass Index (BMI); that is, the ratio between your height and weight, is between 25 and 29.9 you are considered overweight. To measure your BMI, click here. If you find that your BMI is above the healthy range there are simple steps you can take to get you to that healthy range. 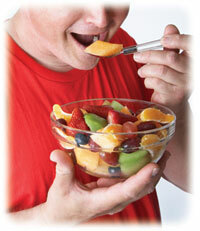 Making nutritional food choices and becoming more active will result in safe weight loss. For more info on how to get started, click here. When considering how to become more active, remember choosing an activity appropriate for your knee pain is important to ensure you can participate and to prevent further damage. For instance, consider swimming or other low-impact activities over running and volleyball. If your pain allows you to participate in higher-impact activities, do not overdo it. Let your body be your guide and if you experience pain take a break or decrease your level of intensity. Knee injuries often occur because there is not sufficient muscle support around the joint. By strengthening the quadriceps and hamstrings your balance and stability increases and chance of injury decreases. Just a few minutes of leg strengthening exercises, 3 times per week will help prevent injury. Ask your physician, the trainer at your gym or your coach for exercises recommended for your specific injury. Don't forget to warm up your muscles before beginning any strengthening exercises with 5 minutes of walking or other low-impact aerobic exercise. For general strengthening exercise suggestions, click here. Stretching is often considering an add-on when exercising, however, muscle flexibility also prevents injury. When ligaments and muscles are flexible they are less likely to be twisted, pulled or torn. Include stretching exercises in your program after your strengthening routine to prevent tightness in your muscles and decrease your risk of damage. Be sure to stretch slowly and do not overstretch the muscle. For stretching exercise suggestions, click here. 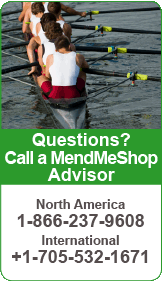 Spending some time and money to properly prepare yourself for activities will help to keep you from pain and injury. 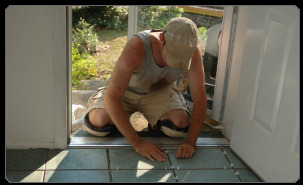 By using protective gear and equipment appropriate for work or play, you will be able to minimize knee damage. Knee pads shield you from trauma during sports such as volleyball and in-line skating and provide protection and comfort to those with jobs that require excessive amounts of kneeling like plumbing, tiling and landscaping. Knee guards and shin guards also provide protection from trauma, especially during sports with frequent blows to the knee such as hockey and basketball. Wearing a knee brace in situations where jumping, twisting or heavy lifting is required will provide support to the ligaments, muscles and cartilage and help to prevent hyperextension of the knee joint. Choosing the proper shoe for your activity can ensure you are receiving support and flexibility where you need it. Although athletic shoes may look similar they are designed with the sport in mind. Court shoes are built for quick turns and stops, however, running shoes provide more cushioning and arch support to protect feet and knees from pounding steps. For years, doctors, trainers, and other medical professionals have recommended RICE (Rest, Ice, Compression, Elevation) to treat the pain and swelling of fresh injuries, chronic pain, and after any re-injury. Mild and moderate cases of tendon or muscle strain are best treated with conservative home therapies. Severe injuries may require surgery so consult your doctor for suggested treatment. Using an Ice Pack (or something cold like a bag of peas) cools the injury area. It works by stopping and slowing nerve and cell function in the injured area and reducing swelling that can block blood vessels. Resting the injured knee (meaning don't use it at all!) helps prevent the injury from worsening. Not resting a soft tissue injury is dangerous, as this will increase the risk of re-injury and increased swelling - eventually this will become chronic. The quickest (and safest) way to repair damaged soft tissue at home is to rest and incorporate the use of T•Shellz Knee Wraps at least twice per day . The growth of scar tissue and adhesions are a big problem when recovering from a knee injury. Scar tissue/adhesions are what cause stiffening in the tendons and muscle, entrapping nerves, restricting movements, and reducing blood flow. frequent use of an ice pack will help reduce the swelling very quickly. Much of the pain you feel will be from the swelling, and you will be surprised how fast the pain drops off once the swelling is down. T•Shellz Wrap® is a safe, electromagnetic energy device that is, without doubt, the most effective conservatie treatment tool that will help reduce scar tissue and increase blood flow to the injury area (thereby accelerating the body's own healing process). when applied before stretching, the T•Shellz Wrap® will help flush the area with fresh blood. This will help improve your range of motion and prevent re-injury. Once the inflammation in your leg has been reduced, providing extra blood flow and strengthening the tissue in the muscles, tendons, and surrounding area is recommended. The use Deep Tissue Regeneration Therapy (DTR Therapy), will speed your recovery and heal your injury more completely preparing it for strengthening exercises. DTR Therapy increases the amount of blood that flows naturally to your soft tissue to nourish your tendons, ligaments and muscles, improving elasticity and increasing the healing process. This increased Deep Tissue Regeneration Therapy to your tendon or muscles is greatly needed. Using the T•Shellz Wrap® is truly a unique experience. 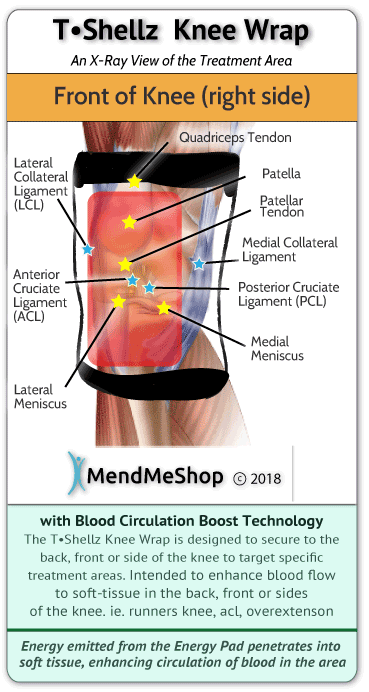 Within moments of applying an T•Shellz Wrap® to your knee, you can feel the healing sensation due to the increase in blood flow deep within the area. During a treatment, and for quite some time after you finish, your injured knee tendons, ligaments, bursa and muscles will feel gently warmed and more relaxed. It's a very soothing sensation and extremely effective. Continue the healing process by resting your injury. Limit your movements that may aggravate your strain and lead to reinjury. Tendon / Muscle related injuries can easily turn from a grade 1 strain into a grade 2 or a grade 2 into a grade 3 injury. Giving yourself a T•Shellz Treatment will helps increase elasticity of soft tissue (via warming) and stimulate your blood cirulation in the treatment area. As such, the use of a T•Shellz Wrap® is recommended before exercise or strenuous activity as it will help prevent further strain or reinjury due to increased tissue flexibility. It may seem hard to believe, but our T•Shellz Wrap® will assist you in recovering from your injury faster and reduce the chance of degenerative conditions by maximizing blood flow where it is needed most, reduce swelling and inflammation induced pain. If you want to prevent further damage to your knee injury, heal more quickly, reduce swelling and increase circulation for lifelong health benefits, proper use of an ice pack and a Knee T•Shellz Wrap® will provide exceptional results. Why spend time in pain, off from work, and missing out on your active lifestyle when you can be proactive about your injury and the health of your body? Talk to your doctor about incorporating a regular routine of using Deep Tissue Regeneration Therapy into your everyday health regimen. Our customer service lines are open 5 days a week helping people understand their injuries and how to treat them. Simply call toll free 1-866-237-9608 to talk with one of our knowledgeable Product Advisors. They have the ability to answer questions and even put together a treatment plan for you.